Regular use of this rich formula will reduce age lines, leaving your face with a younger, brighter appearance. Mineral Enriched Moisturizing Cream: This rich moisturizing cream has been formulated from nourishing Dead Sea minerals combined with a wealth of natural ingredients that are vital for healthy skin such as Aloe Vera, Jojoba Oil and vitamin E.
Refreshing Facial Toner: With its rich blend of over eight natural plant extracts & essential oils that are known for their soothing & moisturizing properties, this gentle vitamin enriched Facial Toner will effectively remove all traces of make-up, dirt and other impurities without damaging the skins natural pH level. 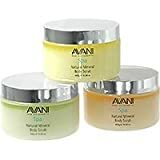 Mineral Enriched Moisturizing Cream: This unique combination of natural ingredients quickly restores the skin’s natural moisture levels to leave a smoother, more radiant complexion. Ideal as a make-up base. Refreshing Facial Toner: Containing active ingredients that will minimize excess oils and refine pores to leave skin completely toned, clean and refreshed. If you have normal-to-oily skin, you’ll love the results from this soap! Formulated from Dead Sea mud, this mineral & nutrient rich Purifying Mud Soap will cleanse your skin, washing away impurities and excess oils, to leave skin refreshed, nourished & moisturized. Skin Renewal Facial Peel: Enriched with beneficial vitamins E & C, this Skin Renewal Facial Peel thoroughly cleanses the skin, ridding it of dead skin cells, excess oil and other impurities. Infused with nourishing Dead Sea Minerals, this non-abrasive Facial Peel will leave your skin feeling radiant and revitalized.